One very popular and historic place that cannot be missed in any Berlin trip is Friedrichstrasse. If you ever visited Berlin, we are convinced you have been to Friedrichstrasse. This is a street just over 3 km long heading from North to South. Friedrichstrasse is one of the fanciest addresses in the city and what you mainly find here today are hotels, offices and many many shops, expensive boutiques and malls. Walking along Friedrichstrasse, you will also encounter some famous entertainment venues like Friedrichstadtpalast, Admiralspalast, Distel Theater and others. Nowadays, Friedrichstrasse isn’t a hotspot for nightlife anymore, but back in the days during the golden 1920’s, it was full of wicked bars and dance halls. This street was crowded with male and female prostitutes and if back then you were looking to have a wild night out – this was your place. Today, you probably won’t visit this place to indulge in the pleasures of Berlin nightlife, but rather to connect in public transport. This is one of the city’s major transport hubs, and you have access to trams, busses, regional trains, U Bahn and S Bahn. As mentioned above, the street is actually quite long, but if you say “Friedrichstrasse” people usually think of the busy part around S Bahn station Friedrichstrasse. This is the most crowded part of the street,and people passing are always in a rush. Yes yes, we get it, everybody is always super busy, but sometimes it is worth to slow down. 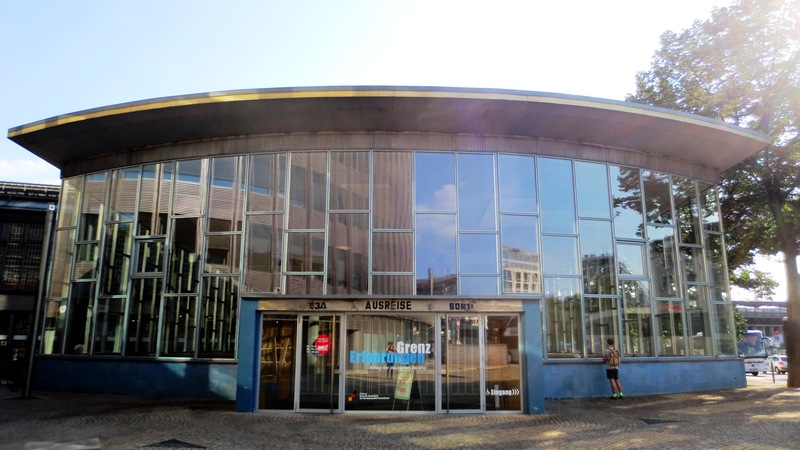 Did you ever notice the little building with large glass windows next to the S Bahn station? This used to be the former crossing point of the inner-German border. People called it Tränenpalast – palace of tears. If you want to find out more about this sad place in downtown Berlin: listen to our talk below!